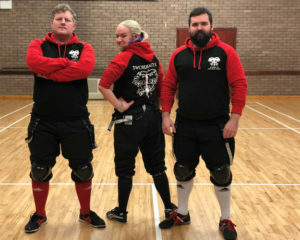 ACADEMY OF HISTORICAL FENCING – The oldest and largest historical fencing school in South Wales and the South West of England. 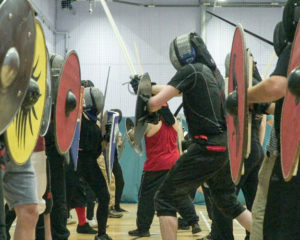 Learn to fight with medieval, renaissance and victorian weapons! Our school has over a hundred members and two instructors with a variety of skills, knowledge and expertise in different weapon forms, combat and research. We teach armed and unarmed combat in the English, German and Italian traditions using longswords, sword & buckler, side-sword, rapier and military sabre. We train with both synthetic and steel weapons and suitable armour is always worn for sparring. If you’d like to start historical fencing at either of our schools and are 18 years or older you are welcome to join us. We have men and women of all ages and abilities, and we invite all to the AHF. Click on the GET STARTED button above to learn more.